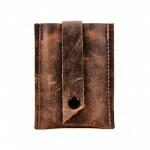 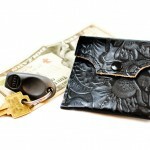 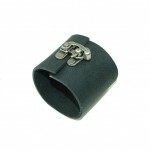 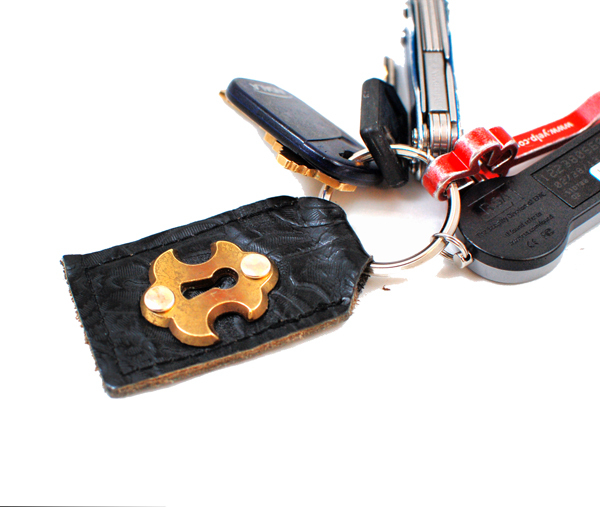 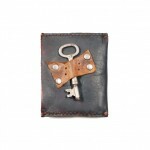 Never lose your keys again when they’re strung from this eye-catching key fob made with an authentic vintage keyhole. 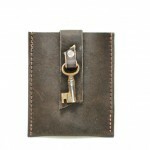 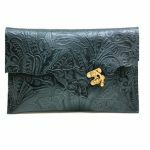 A perfect gift for a house-warming, or for yourself! 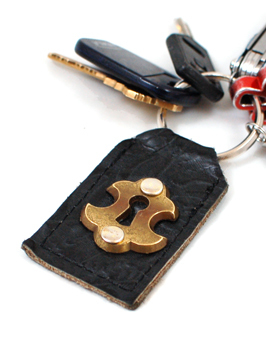 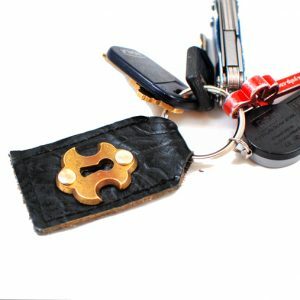 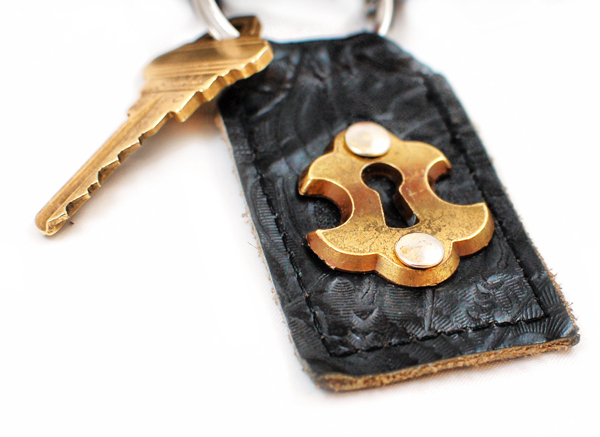 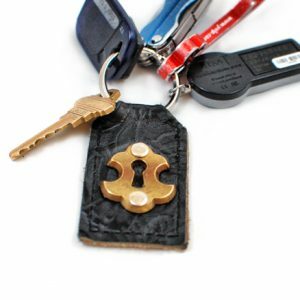 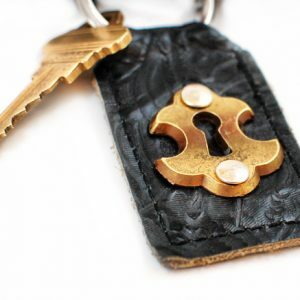 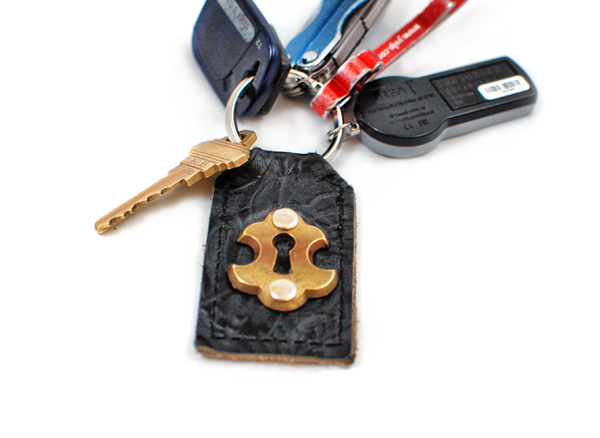 This keychain is stitched with industrial grade nylon thread and features a vintage brass keyplate (escutcheon) and matching brass hardware, on a silver keyring.